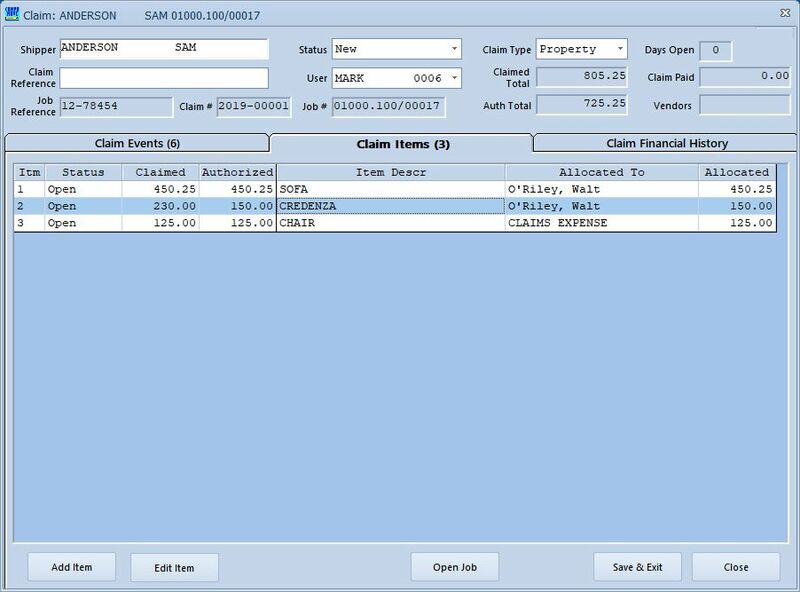 Full claim information is managed, including itemized detail for claim amounts, costs, and claim timeline management. The claim amount can be allocated to a driver, the company, or both. 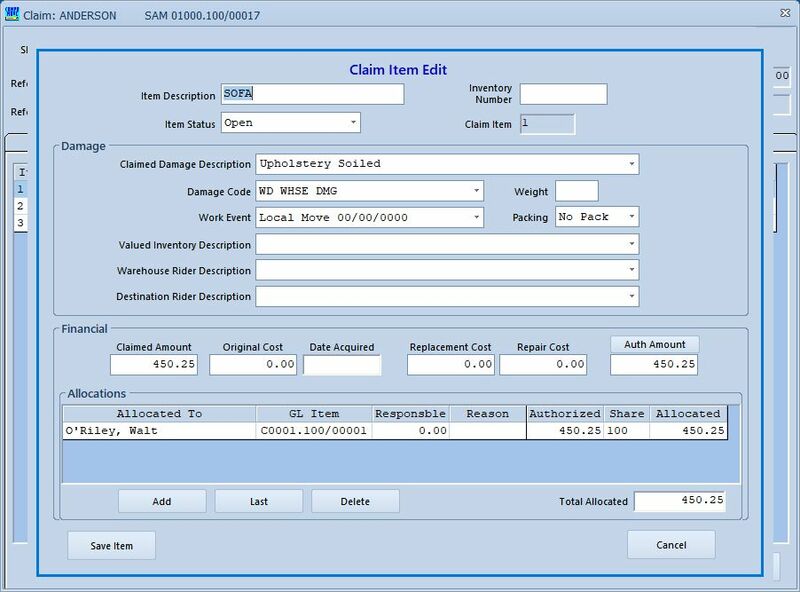 Detailed claim damage information is recorded, including cost and claim amounts, and inventory detail from each step of the move. 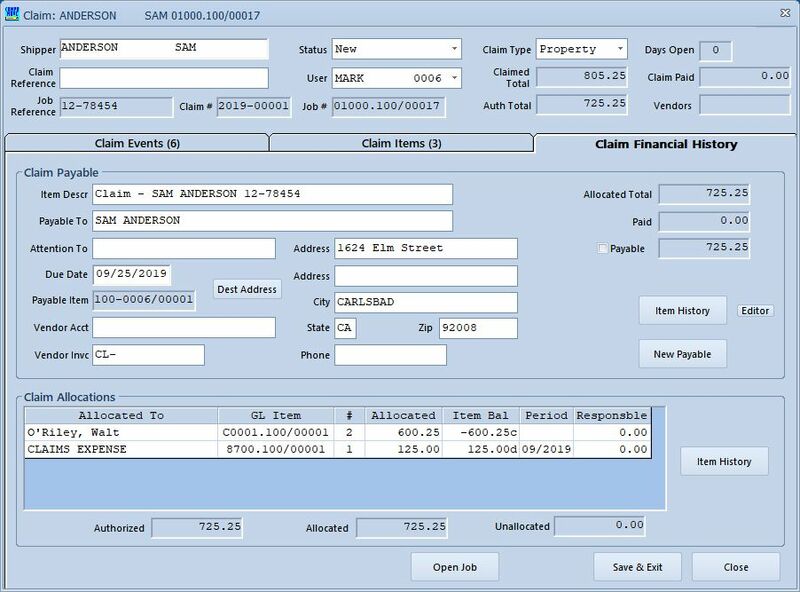 The claim allocation totals and responsibility is tracked, so a claim refund can be issued, insurance deductibles managed, and allocation made to workers or subcontractors. The claim event management cycle keeps track of each event in the life cylce of the claim, incuding due dates, reminders, and note keeping. We recently switched to CompuMove from an archaic moving & storage enterprise software and absolutely love it! CompuMove automates so many tasks that before took hours and hours to complete. I absolutely consider switching to this software a paradigm shift in our company dynamic! Mark is very patient and top-notch at training end users on the software. Plus he didn't attempt to talk us into buying the software, which was very odd, but as he said, the system really does sell itself. John is super skilled at all the tweaks and customizations and works tirelessly until it is done. All the folks I have dealt with at this company have been amazing and they have a product that really can't be beat in my opinion. If you're in the moving & storage industry, you need to check out CompuMove!